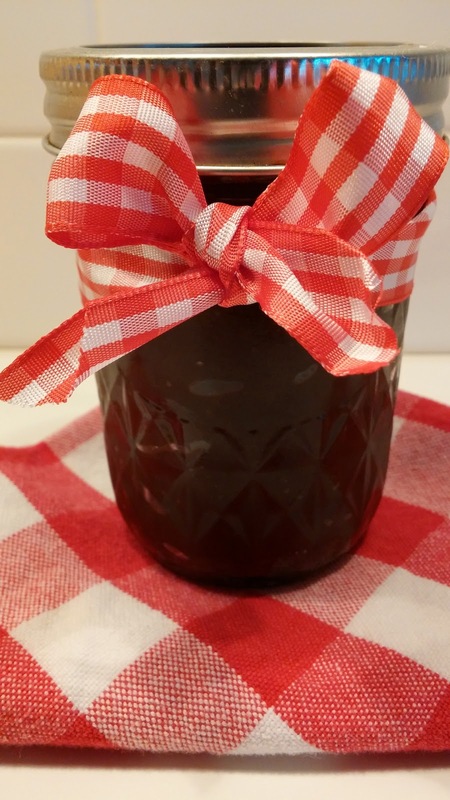 My husband just loves Apple Butter, every year when we pick up the apples from the farmers market, the first thing he say's is when are you making the Apple Butter? We recently made our Apple Butter for the season and will give some of it as holiday gifts. This Apple Butter is very spicy with a little kick that we just love and yet it still has the familiar flavors of the old fashioned Apple Butter. It is best with butter and hot biscuits, but we have it with everything. 8 pounds apples, peeled, cored and cut into quarters. In a large stockpot, place the quartered apples, vinegar and about 2 cups water. Pour enough water to cover the apples. Bring the apples to a boil, reduce the heat to medium and cook the apples until they are soft. Drain the apples and puree the apples in a food processor until smooth. Pour the apple mixture into a large pan over low heat. Add the brown sugar, honey, cinnamon, salt, cloves, nutmeg, allspice cayenne pepper, lemon juice and zest. Continue to cook the mixture until the liquid is absorbed and the mixture reduces by half, stirring occasionally, this will take about 20 to 30 minutes. Place the jars and lids on a rack in a stockpot, making sure the jars make no contact with the bottom of the pot. Cover the jars with boiling water and cover the pot. Boil the jars and lids for 10 minutes. Pour the Apple Butter into the jars, leaving about 1/4 inch from the top empty. Be careful not to contaminate the insides of the jars by touching them with your hands. Place the lids on the jars and seal the jars tightly. Return the jars to the boiling water for 1 minute to secure the seal. Let the jars come to room temperature before removing from the water bath. This is a great recipe for Spicy Apple Butter that we have had in our family for years and it is a winner every time. Thank you so much for stopping by today it is always great to spend time with you. Hope you have a fantastic week and come back to see us real soon. I noticed the cayenne, too, Miz Helen! I can just about smell the wonderful spicy goodness from the apple butter. We LOVE apples, and I'd loooooooooooove a huge slice of bread with this delicious butter. I need to try this - it sounds so good! Will be sharing on my Facebook page tomorrow! Lovely recipe! I think I will try it! Looks SO good Miz Helen. My grandpa always put a dab of apple butter on his cottage cheese...I love it that way too. So glad you shared with us at Weekend Potluck! The recipients who are privileged to get this as gifts will be so happy! Yum, I love apple butter!!! Thank you so much for linking up at Tasty Tuesday! Your recipe has been pinned to the Tasty Tuesday Pinterest board! Please join us again this week! Your apple butter brings back a lot of memories. My grandpa loved apple butter. I like that bit of spice you add. Thanks for sharing, Miz Helen. What kind, or kinds, of apples do you use please? I use a equal mix of Gala and Red Delicious. I have added some Granny Smith in the past. Thanks so much for stopping by and sure hope you enjoy your Spicy Apple Butter.